Come on! is a gambling site that brings all of the excitement of going to a casino or betting on your favourite team right into the comfort of your home. Come on! is built on the principle that you shouldn’t have to travel far to have a great time; as a matter of fact, there is even an app that you can use to continue to use the service, even if you do decide to travel a bit. This Malta-based site features simple English wording, so that even if this language isn’t your first, you’ll easily be able to navigate all of the games and site settings without much difficulty. Additionally, Come on! is designed to be easy to navigate and use, so that you can quickly get to the entertainment part of the site. Simply signup, make a deposit, and you’ll be ready to gamble in no time at all. The site, as a site established in Malta, is subject to the rules and laws of the European Union, and thusly, will ensure that your experience is secure and on the level. Based on the information from their site, security is highly valued, with more attention paid to this consideration than some banks. Simply put, if you like to gamble, this site has so many choices, you won’t be able to explore them all in one sitting. Firstly, like many gambling sites out there, you’ll have access to a plethora of electronic slots. Come on! has over 500 video slots and 42 dedicated slot machines. With this wide selection, you’ll be able to have slot experiences that feature cinematic entertainment classics like Aliens and Jurassic Park, or pick from hits from the small screen like games that are themed around Game of Thrones and Battlestar Galactica. Are table games more your speed? Then, you’re in luck because this site has a plethora of options for the table connoisseur. Firstly, there are 13 dedicated table games on Comeon.com. These choices range from baccarat to Caribbean Stud; each providing the thrill and entertainment of a live dealer experience. If these types of table games aren’t your thing and you want to put it all on the wheel, then this site also features 15 roulette-style games, so that you can bet it all on black if you want to. If you are a card player, you can also find electronic versions of standard poker, blackjack, or even Texas Hold ‘Em. Amazingly, if all of this doesn’t do it for you, Come on! offers electronic scratch tickets that you can play and win with. In totality, the site has over 630 games, so there are a lot of options for every gambling taste. Finally, if you don’t feel like electronic gaming, the site offers a full section of sports betting. You can bet on tennis, football, or any other sport that has great odds. The site has betting 24/7, so if you want to try and win some money on a game in Lithuania at 4am, Come on! is your best choice. 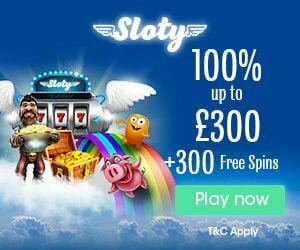 YES I want up to £ 100 in deposit bonus | ComeOn! Bonuses and Free spins at ComeOn! With this gaming site, you win points for everything that you do. Every electronic slot, every bet, and every card game will get you the points you need to win and receive free stuff. Unlike many of the online gaming sites out there today, you can even earn points from withdrawing. In addition to this point earning system, simply signing up makes you eligible for a great bonus, which will grant you an additional €25 to wager on your favourite games. Also, as you reload your Come on! points, you’ll receive percentage based reload bonuses that’ll sweeten the deal considerably. The Bombastic and Campione lotteries run every Thursday and Sunday, which provide an extra way to win on the site. You can even trade your Come on! points for free money bonuses; the more points you accrue, the more cash you’ll earn. A great feature for anyone looking to take advantage of any of Come on!’s deals is their promotions page. This page is constantly changing and tends to focus on free spins, betting bonuses, and poker free roll tickets. Having such a changeable set of promotions greatens the thrill of playing on this site significantly. You don’t always have to stay at home and gamble, with the Come on! mobile app, you can take your sports betting, poker gaming, and slot spinning on the road with you. This is the perfect app for sitting on the bus and playing a game of poker for big money. Unlike some online casinos, you don’t have to run Come on!’s gambling options through a mobile browser. Simply download the application from the page itself, and you’ll have a standalone source for their numerous games. Fortunately, both of the major Smartphone types are supported, so if you have an Android or iOS device, prepare to get your game on. The user interface for these games is simple and intuitive and run at fast speeds on the majority of mobile devices. Since these run on an application, you also won’t need to worry about accidentally changing the page in the middle of a spin or when the action is heating up during a wagered on sporting event. Deposits and Withdrawals at ComeOn! When it comes to payment options, there is a wide variety on Come on! Firstly, if you’d like to use a card, you will have the choice of using Visa (Electron, debit, or standard), Master Card, Entropay or Maestro; as a matter of fact, you can even utilize your Diner’s Club International card at Come on! The minimum spend for a deposit is €10 and the maximum is €3000 for the first set of cards, and a €10 minimum with a maximum of €2000 for DCI cards. It’s important to note that here are fees that vary based on the amount deposited, which range from zero to 2.5 percent. All deposits made are instant, so that you’ll be able to quickly start gambling. In addition to the card options, you can also utilize a bank transfer, online E-wallet services like Skrill and Neteller, and even prepaid cards like Paysafe. With the E-wallet services, there is even a much higher maximum deposit, with these services you can deposit up to €10000 at a time, but you will also incur a five percent deposit fee. When it comes to withdrawals, you’ll find that the majority of services that are available for deposit are also available this way. The chief difference is that, when you withdraw your winnings, you’ll have to wait two to seven business days to receive them via card or bank transfer. Fortunately, for the e-wallet services, the waiting period is only 24 hours. Support and Customer Serivce at ComeOn! Come on!’s site, like any online gambling page, should have responsive and polite customer service and resources. While you can’t receive support at absolutely any hour, live electronic chat support is available from the hours of 10:00 – 22:00 CET and email support is available from the hours of 09:00 to 22:30 CET. There is also an excellent section that relays all key information for the site under a “Support” tab.